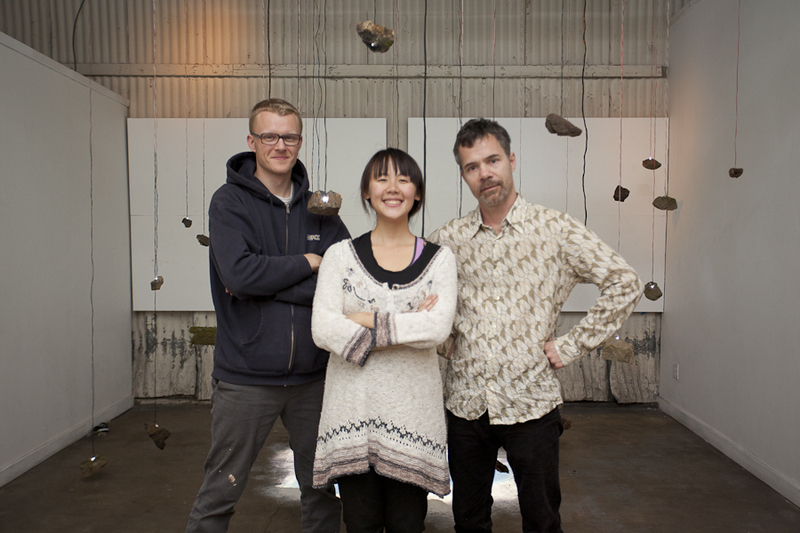 Tranquilium is the collaborative effort of two San Francisco based artists: Mido Lee and Philip Alden Benn. 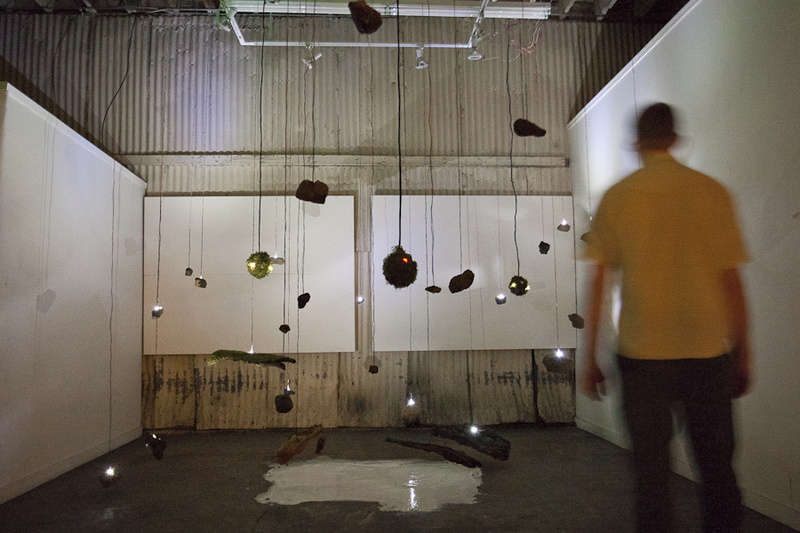 Lee constructed the suspended, interactive light and motion system. 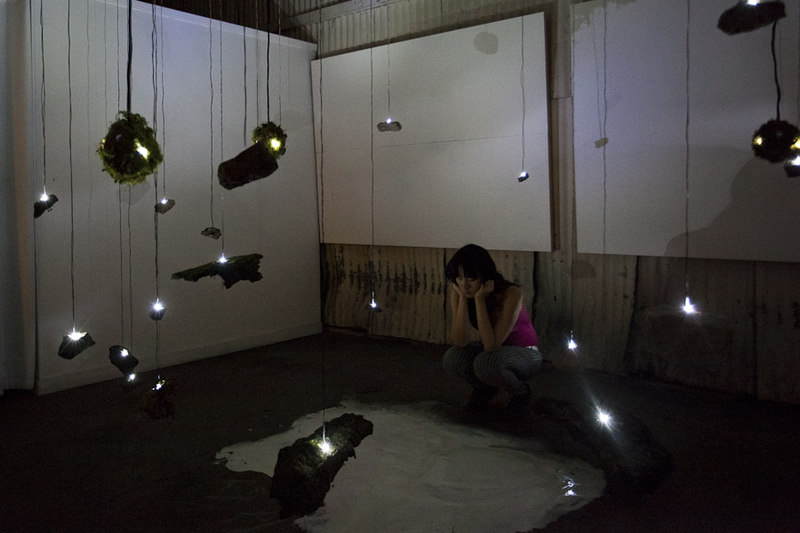 It is an interactive installation where the viewer's presence triggers deactivation of lights within a zone of stillness. 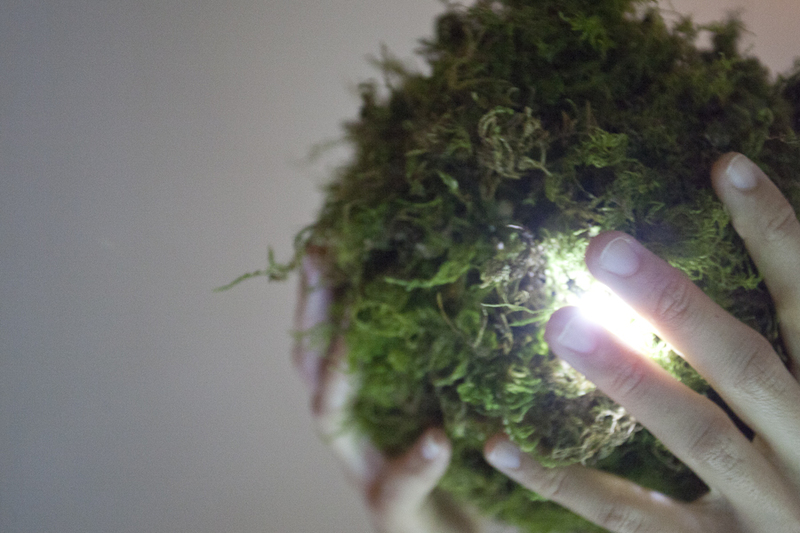 Fast movement is registered by sensors within spheres of moss that turn red in response while simultaneously turning off points of light on suspended stones. In order to experience the installation in its entirety, spectators need to enter slowly and remain still. Being mindful within the presence of this environment the audience is invited to experience a moment of tranquility. The inspiration for Tranquilium comes from my own experience of living in the mountains. Animals and shin (神), or spirits, hide when people approach and in order to see the true face of nature we must walk quietly and with mindfulness. By practicing such mindfulness we can become aware of the influence that our behavior has on the fragile and sensitive, integral system we call the environment. This is the same awareness that Tranquilium evokes in the participating audience.